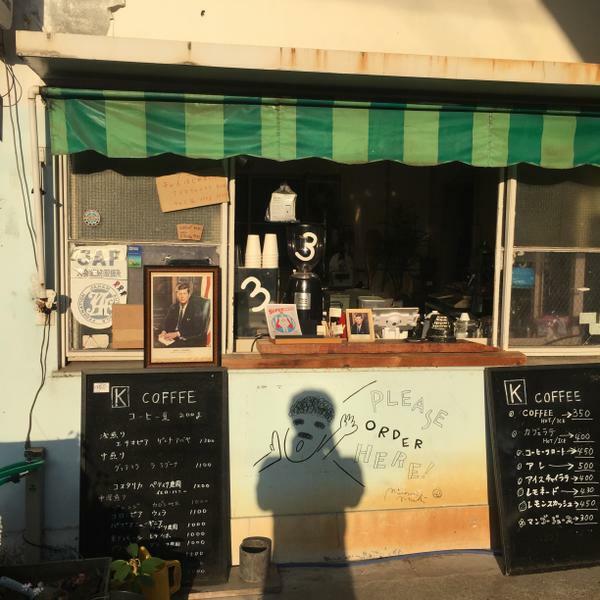 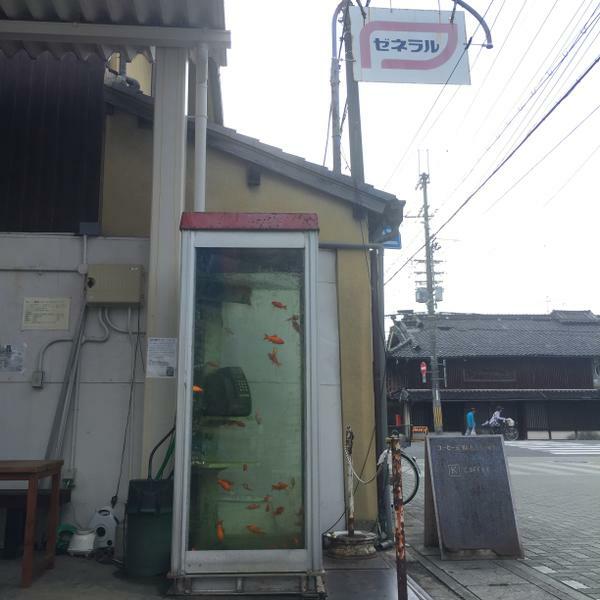 A coffee shop located in Yamatokoriyama City, Nara Prefecture, a city famous for goldfish, K Coffee operates out of a former gasoline stand. 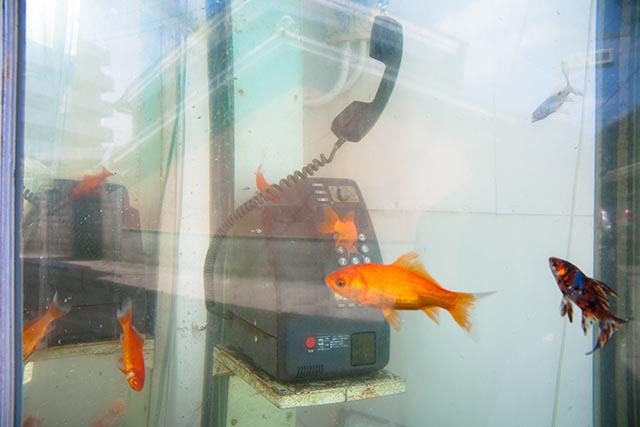 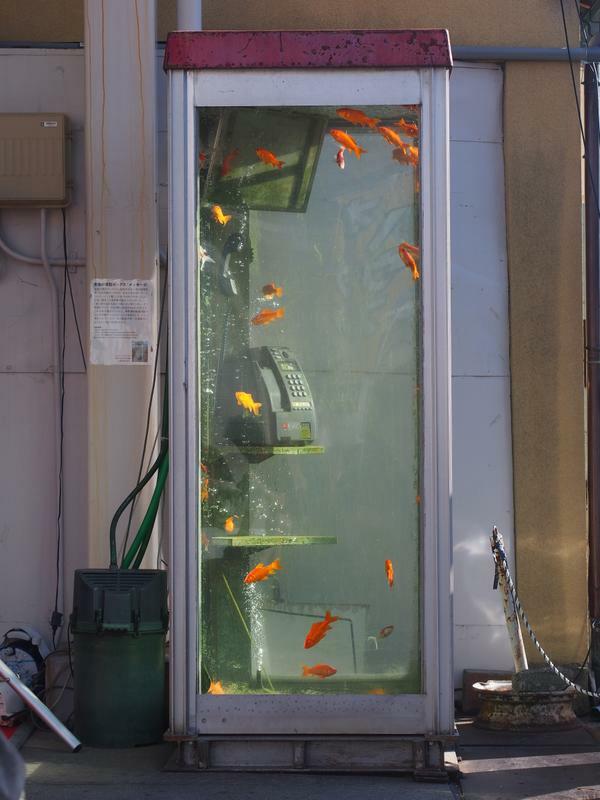 A phone booth with goldfish swimming in it stands outside the entrance and is a popular spot to take photos. 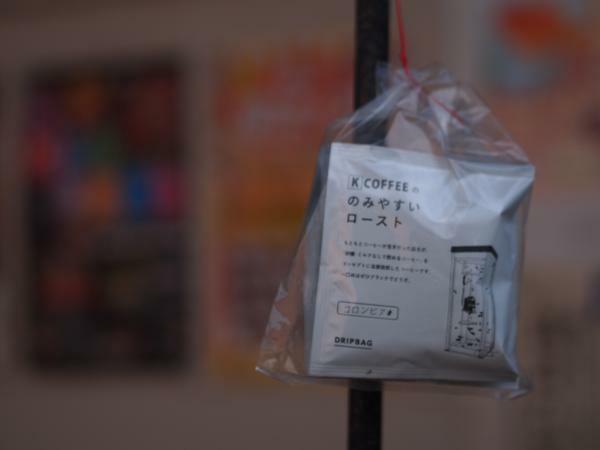 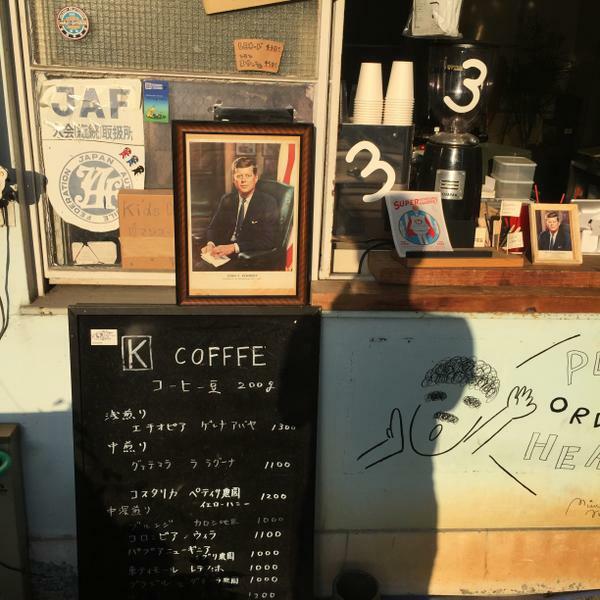 The former gas station office is now a kitchen and sales counter where you can buy drinks such as carefully-prepared, home-roasted drip coffee in addition to coffee beans. 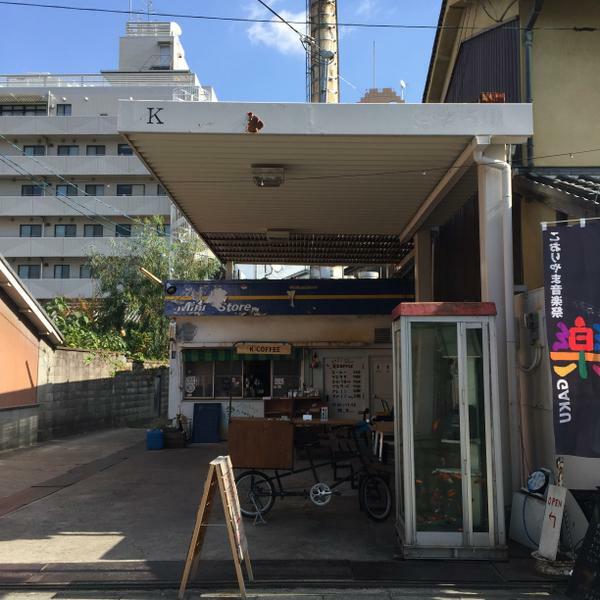 There are benches and chairs in front of the café where customers can enjoy their drinks.